We are thrilled to announce that Jacqui McShee will be performing live at St Mary’s Church, Ashford this April! Jacqui McShee started off in the fertile folk club scene in the 1960’s, sharing stages with such luminaries as Burt Jansch. She quickly formed Pentangle and has been at the forefront of British folk-rock since. The striking combination of Jacqui’s wonderful crystal-clear singing and Pentangle’s expert jazz inflected folk rock have set a standard for every band since. They have gone on to be cherished by not only folk fans but rock and pop fans as well, so great is their appeal. 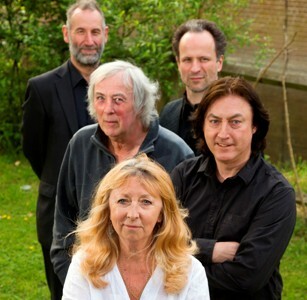 As a mark of respect Pentangle also received a Lifetime Achievement Award at the 2007 BBC Folk Awards for the band’s contribution to the genre. Jacqui’s Take 2 is Alan and Gerry from Pentangle alongside her unmissable vocals. This will definitely be a highlight for any folk-rock fan and adds to the already excellent programme of folk music events at Revelation St. Mary’s.